The Citrus Growing Project of the Polk County Youth Fair is teaching young people responsibility and agricultural lessons through raising citrus trees. Passing knowledge on to the next generation is important in any field, and it’s especially vital to the citrus industry in Florida. With the many innovations that are taking place in growing citrus, education is key to keep the industry moving forward. The Polk County Youth Fair is an integral part of helping to educate young people on the importance of agriculture. Students involved with 4H or FFA are welcome to participate in many categories, including horticulture. The UF/IFAS extension office supports the fair by providing plants for students to grow. The Citrus Growing Project is a joint venture between UF/IFAS and the Youth Fair. Students are able to purchase plants from the extension office that they will then exhibit at the fair. Citrus, blueberry, and peach trees are available for the students to work with. They may purchase up to two plants of each type to raise, but can only show one plant at the fair. Instructions are provided to the participants, in the form of written literature as well as a presentation the day they pick up the plants. Students pick up the plants early in the spring, so they get the whole growing season to raise their trees. They grow the trees in containers while learning about proper fertilizing and pruning methods, and how to treat diseases. It might not be exactly the same as growing in grove conditions, but it still gives students an idea of what all goes into raising a healthy citrus tree. The investment required for raising a plant is much lower than that associated with the animal projects, opening the project up to more student involvement. The cost of a tree runs about $20, and that includes the pot and potting media. The students have the opportunity to earn cash prizes at the fair, and they are required to send out letters to potential buyers for the tree. Prize-winning trees can bring in anywhere from $50 to $500 at the auction. Kids are learning lessons not just about the hands-on details of agriculture, but also the business end of the industry as well. The trees are grafted and are about three feet tall when the students get them, one stem with leaves at the top. Students learn about soil conditions, and proper watering techniques. Only one variety of citrus (or peach or blueberry) is used each year, so the students are on equal footing for judging. About 150 students normally purchase plants, spread across the citrus, blueberry, and peaches, and about two to four dozen return to the fair with their citrus trees. The project receives a lot of support from the agricultural community. Co-chair of the Citrus Growing Project Committee and FFA teacher Donna Oliver describes the community support this project receives, “People in agriculture love to see kids getting involved in any field of agriculture.” Local growers provide the trees for the project, and many businesses will come to the fair to show support. 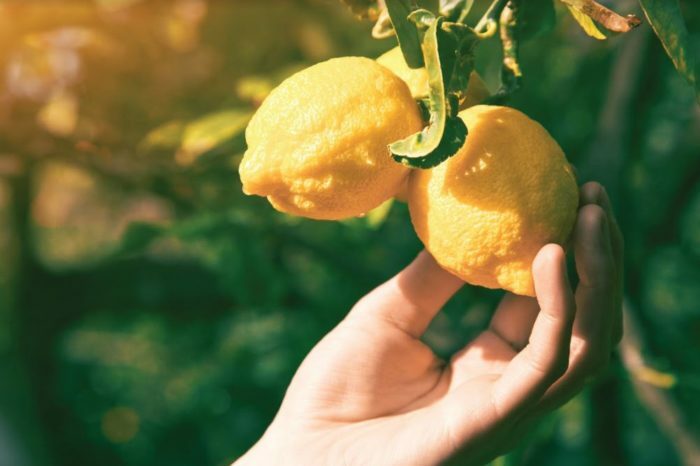 With diseases like citrus canker and greening still posing serious threats to Florida citrus, we are relying on innovation and fresh ideas to keep the Sunshine State’s citrus industry prosperous. Projects like this engage young people in agriculture in many ways, providing that pipeline of talent needed for the industry to stay vibrant.